Type in the exact words you hear. Listen to the story and type the exact words you hear into the boxes. You have heard the story, so now please answer the following questions. What is exceptional about Gerry's daughter as far as ballooning is concerned? 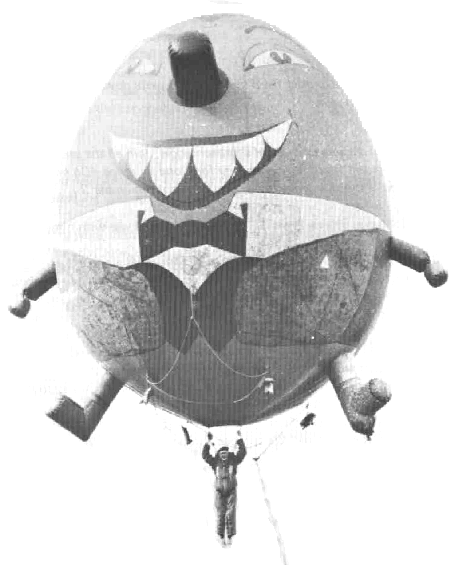 How does one move along when using a Humpty Dumpty balloon? What did 'Brainy' Dodds do in 1920? Why did Gerry and his daughter go to Teddington? Why did the cameramen want Christine to do a little lift-off in spite of the poor weather conditions? What happened at the moment when Christine was just coming down to the ground? How far was Christine below the balloon when it carried her off across the tennis courts? Where did she eventually fall? What condition did Gerry find Christine in when he reached her? What saved Christine from breaking her skull?